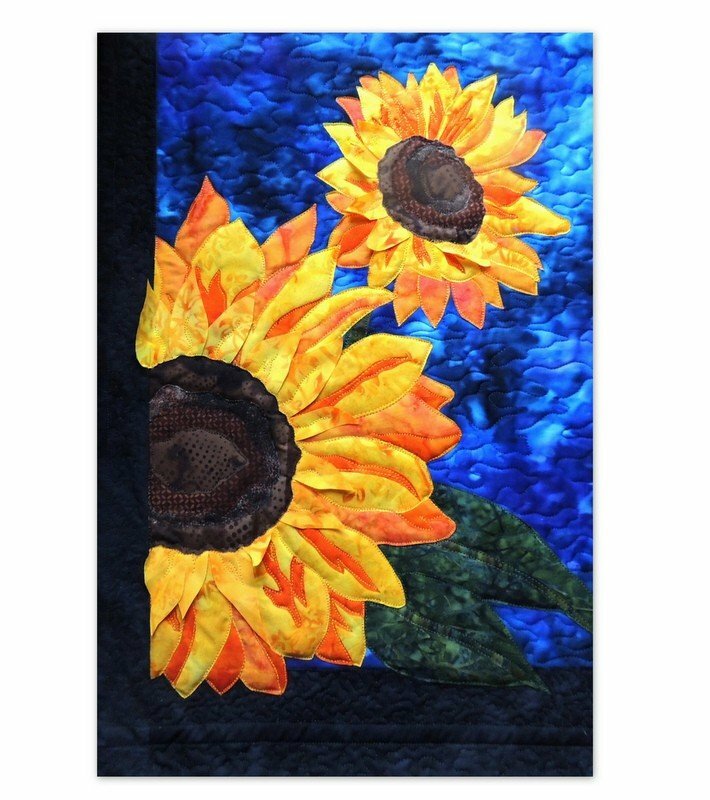 Have fun making your own beautiful garden of sunflowers with this fusible applique pattern--included in the instructions are directions to make a 3-D version with the fun product Terial Magic! These beautiful flowers were inspired from a photo that my partner Bob took a few years ago. I've always loved looking at his picture and with the fun I've been having with 3-D petals I figured the time was right for this image to find its way into fabric. The name "Marisol's Garden" came from a suggestion from one of my facebook followers. Her great Niece is named Marisol and (among a few other meanings) her name means 'sunflower'. Even more special, Marisol is a wonderful blessing to her family after her two sisters were both born too early and went to heaven. I'm honored that they shared their story with me and encouraged me to name this pattern for their darling girl, as well as in memory as for her two sisters who will always be shining down on her life. Includes all the fabric to make the top of the quilt, including binding, instructions and placement guide along with tips and tricks for successful quilting. Kits do not include backing, batting or Terial Magic. 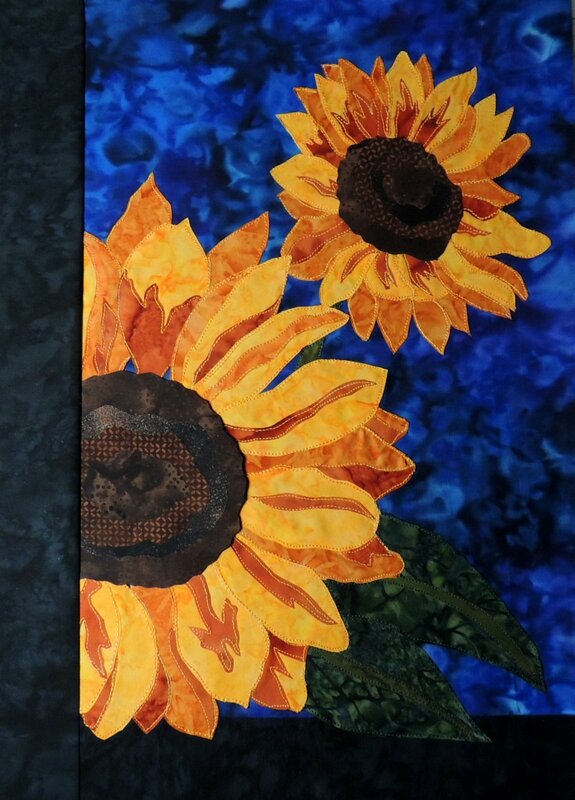 You can choose between two colors of your sunflowers, either bright yellow jewel tones, or more rusty yellows. Finished size of the wall hanging is 15" x 22"